The #bmInc initiative had been going great guns since I last updated you in Feburary 2018. 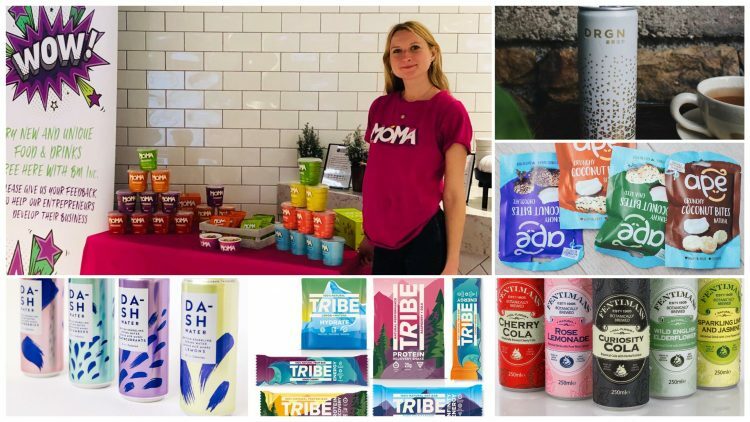 During the summer months we engaged with Dash Water, featured in my previous blog, Rhythm108 – chocolate bar Organic Vegan GF, Aqua Coco – coconut water in a can! 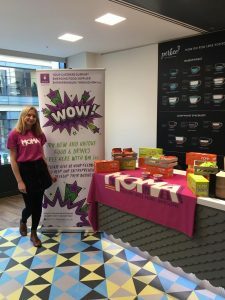 We are now the proud owners of two pull up banners which are used to enhance the new product branding during activations – impressive I know! I was very chuffed to read in the trade press that Ape Snacks founder Zack Nathan had sold his brand for an “undisclosed sum”. Zack was one of the first young entrepreneurs I engaged with in 2016 and although this was preconception of #bmInc, it was this engagement where the concept has its roots. So, there is a queue of new brands that we are collaborating with in Q1 of this year. March – Fentimans canned drinks / DRGN Drink (turmeric infused super drink) – tastes delicious!! The next development of the initiative is to diversify into others areas (in addition to retail products) such as cooking ingredients or food packaging, so watch this space for my next update.